Devotions are held immediately following the regularly scheduled Mass as noted below. Saint Michael of the Saints is recognized as the Patron of Cancer Patients. 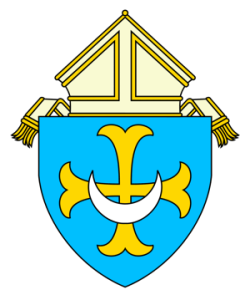 He was born Michael Argemir in Spain on September 29, 1591, and became a Trinitarian friar in 1607, taking on the name Michael of the Saints. His brief life of thirty-three years was one of great love for our Lord in the Blessed Sacraments. Saint Michael of the Saints’ generous service to the poor, the unfortunate, and the sick made him a compassionate priest and a faithful friend. His ministry didn’t end with his death. After eleven days of prayer, Frances Sanz was cured of cancer through the intercession of Saint Michael of the Saints. The cancerous tumors on her lip and tongue disappeared leaving no scars. Michael was canonized on June 8, 1862 by Pope Pius XI. 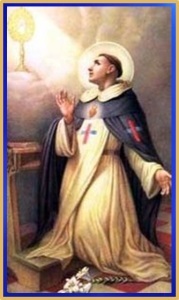 His feast day is celebrated on April 10. Sister Catherine Labouré completed this mission within a two year period. Almost immediately the blessings that Mary had promised began to touch the lives of those who wore her Medal. 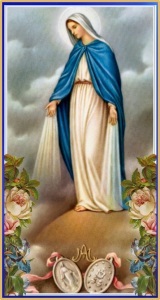 The devotion spread quickly, and before long it was being called the “Miraculous Medal”. Saint Jude the Apostle is recognized as the Patron of Hopeless Causes and Desperate Situations. He was also called Thaddeus (meaning ‘loving’) to distinguish him from Judas Iscariot, the betrayer of our Lord. 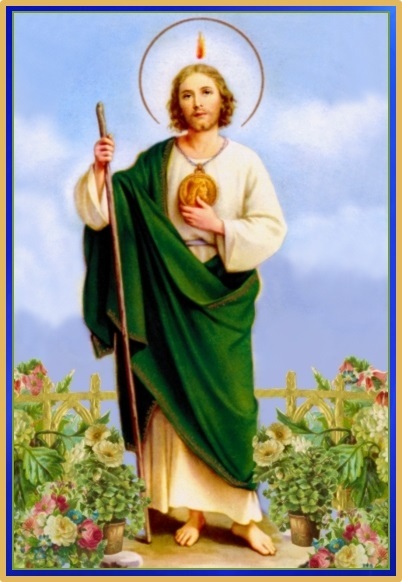 In the Gospel of Matthew (13:55), Saint Jude is referred to as the ‘brethren” of Jesus. He was also known to be one of the twelve Apostles and began to preach the Gospel to the Jewish people throughout Galilee, Samaria and Judea. Saint Jude’s letter in the New Testament stresses the importance of a faithful person persevering in the midst of harsh and difficult circumstances. Tradition indicates that he died a martyr’s death because of his unwavering faith in our Lord. Devotion to the Divine Child Jesus is said to have started on Mount Carmel, in Israel, in memory of the trips that Jesus took with his parents and Grandparents to pray there. The devotion was spread by the Carmelites throughout Europe. 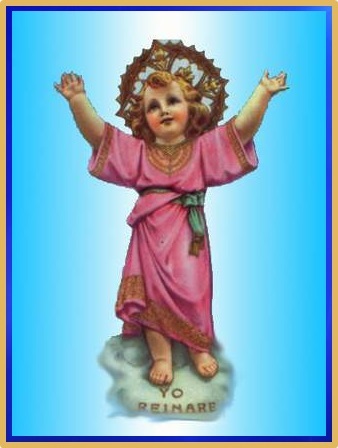 The Divine Child’s Devotion became popular in Latin American through the efforts of Father John Rizzo, an Italian Priest. The People of Bogota Colombia, where father severed where open to this devotion. The Child Jesus stands with his arms open wide to remind the faithful of His love for mankind. Devotion to the Sacred Heart of Jesus began in 1672. This is the first Catholic devotion specifically requested and established by Our Lord Jesus Christ in His revelation to Saint Margaret Mary Alocoque a French nun, over a two year period. 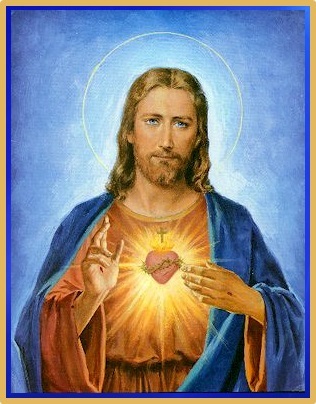 During this two year period Jesus asked the Church to have a devotion of his Heart in the Flesh. He also asked to repent and frequent the sacrament of Holy Communion. Jesus himself made twelve promises to Saint Margaret Mary in favor of those who practice and promote this devotion. 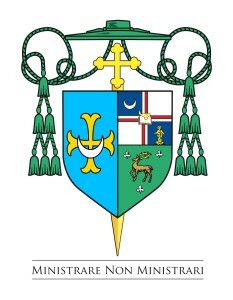 Bishop David M. O’Connell, C.M.